Some mornings I have to choose to rejoice and be glad, to allow the unfailing love of GOD to pour into my soul. It may seem strange to say that I need to allow this to happen. But it’s true, sometimes I resist God’s love. Just like Brother Lawrence, I need to give myself up to God. To resign, may seem a bit gloomy, but a giving up of oneself without resistance is really an act of love. When we resign ourselves to God’s unfailing love, we are in the safest place. I appreciate that Brother Lawrence reminded us that our dependence upon God is necessary in both spiritual and temporal situations. That our love of God can be constant in both trials and joys. That even when our prayer life feels dry or irksome, we can choose “acts of resignation,” where we deliberately move toward God, even when it doesn’t seem to be working for us emotionally. I don’t know what Bother Lawrence would have considered “acts of resignation,” but I can guess that they might have included doing the dishes when he didn’t particulary care for the chore or going into his cell to pray the assigned prayers for the hour, when he’d rather be taking a walk. Maybe, the deliberate choice to write for 31 days, or collage or get out of bed each morning could be considered an act of resignation. This practicing of a continual conversation with God, whether or not it is in a spiritual or temporal setting, creates in us an appetite for God’s presence and will in all things. 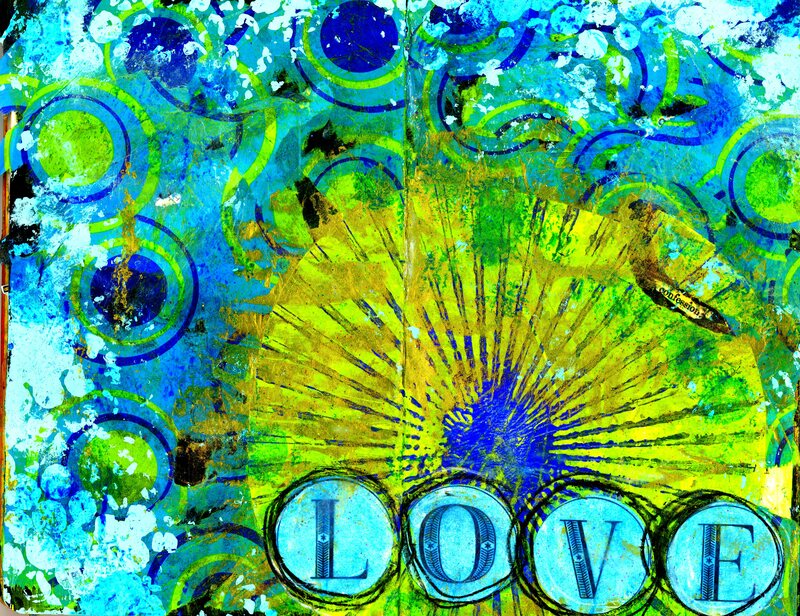 I have to admit, my collage process today was an “act of resignation,” which led me right back to the heart of the matter: LOVE! The love of GOD and the love that wells up in me, when I bask in His love. What will be your “act of resignation” to move towards God today? Yes Kel! He is our determination!